How can we harness the power of genomics so physicians can easily access their patients’ genetic information to provide an individualized approach to preventing, screening, diagnosing and treating disease? This is a question many precision medicine researchers are addressing, including David Ledbetter, Ph.D., who is leading the MyCode Community Health Initiative. This innovate research effort is leveraging twenty years of electronic health information with large-scale DNA sequencing data for thousands of patients to determine how it can be used to deliver cost effective, precision medicine approaches in a real-world health system setting. In 2014, Geisinger Health System, a medical provider in New Jersey and Pennsylvania, in collaboration with the Regeneron Genetics Center, an international biotechnology company based in Tarrytown, New York, launched the MyCode Community Health Initiative. This ambitious precision medicine research effort seeks to identify genes associated with clinical traits and diseases such as obesity, diabetes, cardiovascular disease and brain and behavioral disorders. The study already has 150,000 participants, more than half way to the goal of enrolling 250,000 patients. Dr. Ledbetter is an internationally recognized expert in precision medicine. His early research focused on discovering the genetic causes of childhood neurological disorders, such as autism, and developing genetic tests for early diagnosis and treatment of these conditions. 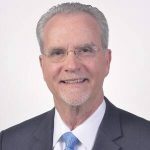 Prior to joining Geisinger Health System, Dr. Ledbetter held academic and leadership positions at Emory University, the University of Chicago, and the National Center for Human Genome Research at National Institutes of Health. Hear Dr. Ledbetter and other world-renowned experts discuss the latest research in precision medicine and how it can be applied to improve diagnosis and treatment for many conditions at Individualizing Medicine 2017: Advancing Care Through Genomics.